Willis Mountain: 19th Century Destination | slate river ramblings . . . . 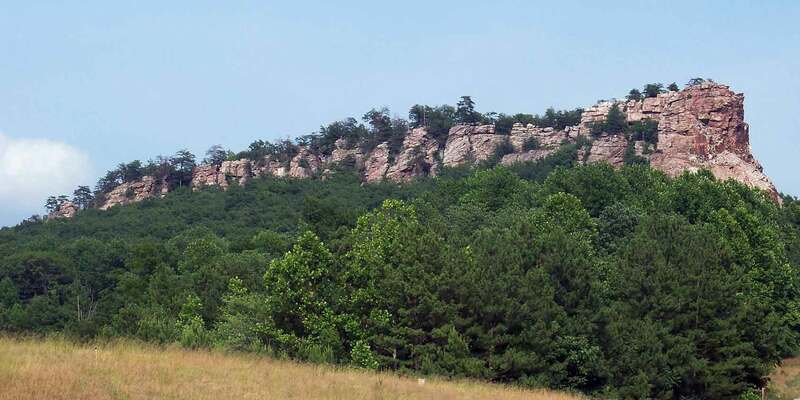 In the 19th century, Willis Mountain was a popular destination, an inviting natural setting drawing young Virginians for a day in the great outdoors. Does anyone else recall Peaceful Valley or pleasure outings to Willis Mountain? I have fond memories of Peaceful Valley. My great uncle, John F. Sheppard owned it for about 6o years. I have some pictures and paintings of the place when it was in its hayday. Benjamin, My grandmother Ruby Jones used to go to some reunions with a Mr. Dillard. I remember visiting Cousin John Sheppard at Willis Mt. when I was young. I would love any info you have about the Sheppards, my great grandmother was Mary (Mollie) Sheppard Crute who married Paul Marion Jones. Peaceful Valley, the Dixon Family “compound” at the foot of Willis Mountain, has been owned by the Gene Dixon, Sr. family at least since the 1950s. Mr. Dixon had the picnic shelter that was built on Willis Mountain by the CCC moved to Peaceful Valley and it has been the scene of many church picnics, family reunions, and weddings over the years. Peaceful Valley was also the location of the first swimming pool in Buckingham County. It was a spring fed swimming pool and jumping into it was always a shock because the water temperature was so cold. Another activity was to climb the mountain, with permission, to the cave on Willis Mountain, which has the initials of early explorers and the date 1769 carved in the cave. Thank you, Margaret. Peaceful Valley was new to me or at least I didn’t recall it. Now that I know it was a popular recreation spot designed by the Dixon family, perhaps more folks will share memories and, maybe, photos! I would love to post a montage of Peaceful Valley over the years.